We were thinking how to simplify construction of a force feedback system used in various simulators. This is why SimuCUBE was created. SimuCUBE is a complete simulator force feedback controller for single motorized actuator such as a steering wheel or a force feedback lever. Typical SimuCUBE applications include vehicle and equipment simulators. SimuCUBE solution consists only minimum number of parts between the physical actuator and simulator software. 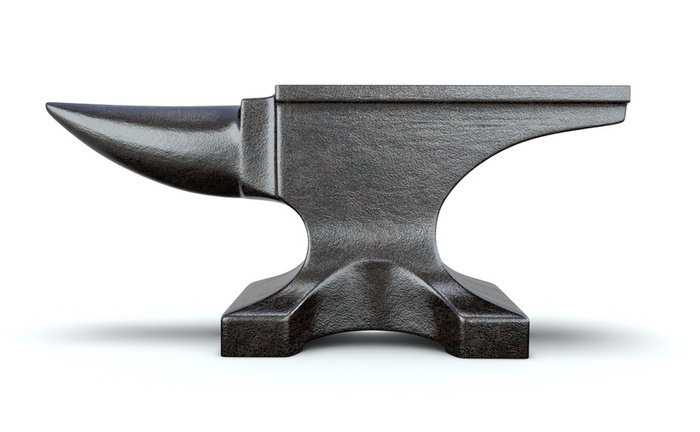 SimuCUBE supports the standard DirectInput API for feedback effect delivery. IONI Pro and SimuCUBE produces torque effects, such as friction, damping and inertia completely on a real-time hardware with over 1000 Hz update rate. This yields unforeseen realism through the simulator. 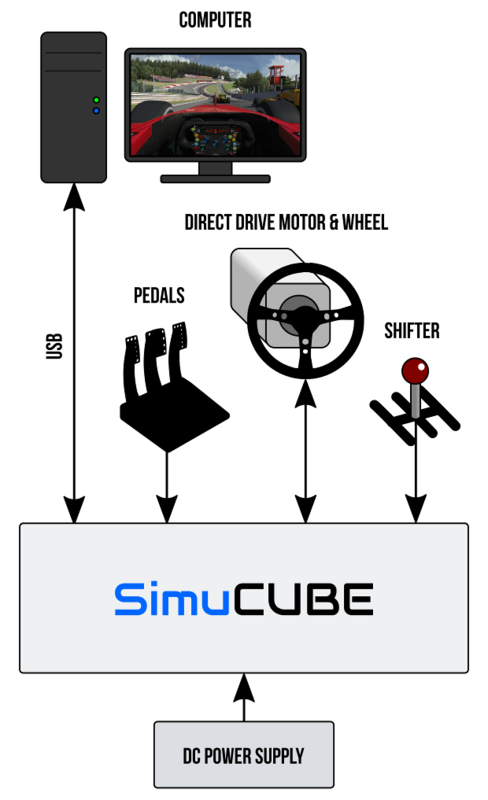 SimuCUBE reduces number of simulator components to a bare minimum. It does not only control the force feedback motor, but also reads inputs of various controls, such as pedals, shifters and buttons. From software point of view, everything is accessible through a standardized USB Human Interface Device (HID) protocol. On Windows®, force effects may be easily operated with the industry standard DirectInput API. Need more than that? The firmware of SimuCUBE is open source and available through GitHub. 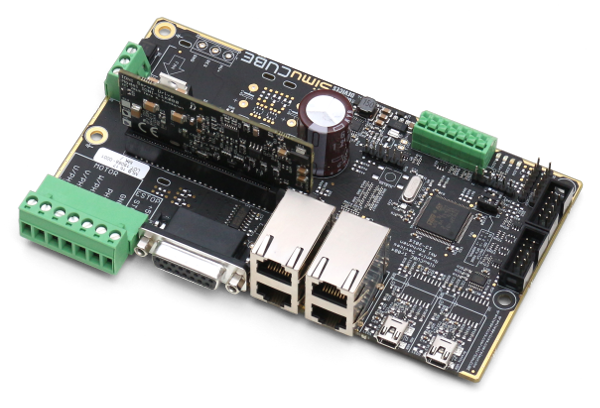 This allows full customization of it's functionality and integration of even more application specific features on the same board. SimuCUBE is equipped with embedded ARM processor with plenty of free resources to be tapped. Will it blend? Try it risk free. No worries. We give you plenty of time to use the product before you decide whether to keep it or not. Granite Devices accepts product returns within three week period from delivery and pays the full amount back - no questions asked! Refund policy is world wide and automatically applies to all orders between €200-2 000. For greater amounts, you may request a custom trial period. Have a long term demand? Ask for a quote! List products of interest and your quantity demand. Feel free also to describe the application to get our professional advice. IONI is a 67×37 mm sized "Swiss knife" of motor control. It drives AC and DC servo motors as well as stepping motors. Possible control methods include position, velocity and torque modes. IONI can handle up to 700 W of continuous power. 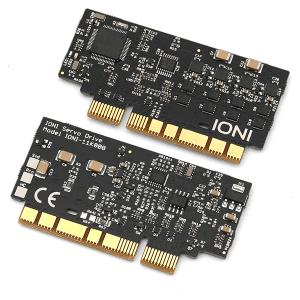 IONICUBE is motherboards for IONI drives enabling effortless installation of the drives. 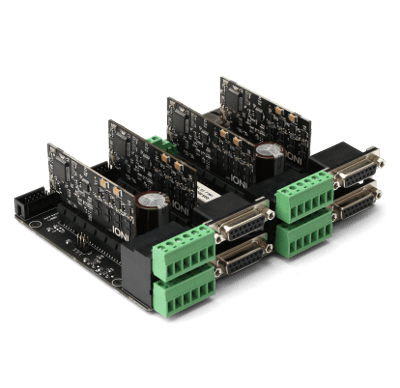 Build multiaxis motion control systems with 1 to 32 IONI drives by chaining IONICUBE motherboards.